The commanding and rugged 2015 Nissan Titan is the pickup truck that can get the job done. This robust workhorse by day can easily transform into a luxurious mode of transportation at night with its well-appointed cabin and luscious amenities. Come kick the tires and see everything the Titan has to offer at Tenneson Nissan in Tifton, GA, serving the communities of Albany, Phillipsburg, and Valdosta, GA. You'll be amazed what an incredible deal we'll negotiate for you on a 2015 Nissan Titan, but you'll be even more amazed at how versatile this perfect pickup can be! There's no denying a hefty pickup truck like the 2015 Nissan Titan needs to deliver when it comes to power, and as you'd expect, the Titan is one powerful beast. Inside the engine block sits a mighty 317 horsepower 5.8L V8 pumping out a healthy 385 lb-ft of torque and paired with a 5-speed automatic transmission with a Tow/Haul mode. Standard rear-wheel-drive gives you more control and power, but the switch-operated four-wheel drive is optional on all models and standard on the robust PRO-4X. And there's a good chance you have a robust pickup like the 2015 Nissan Titan for its towing capabilities which, when properly equipped has a maximum towing capacity of a remarkable 7,400 pounds with 4x2 and a colossal 9300 pounds with the PRO-X 4-wheel drive model! 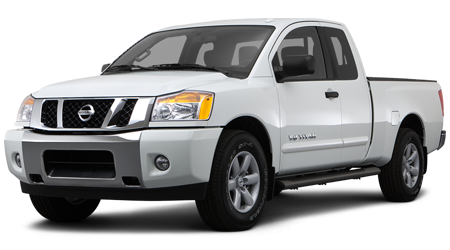 You'll find the 2015 Nissan Titan in many configurations, as is usually the case with large pickups. Three models are offered with the King Cab -- the S, SV, and PRO-4X, and the Crew Cab adds the SL model. 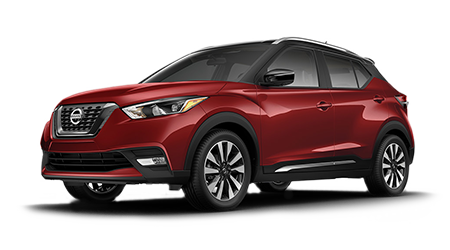 S models (King and Crew) body-color front bumpers, a rear tailgate spoiler, and 18-inch steel wheels, plus easy clean vinyl flooring, air conditioning and a 6-speaker audio system. Alloy wheels, power mirrors, step rails, remote keyless entry, chrome bumpers, and front grille and a helpful multi-function driver's info center are standard on the SV. The PRO-4X gets aggressive with dark-finished alloys and adds a rear sonar system, front captain's chairs with power driver's seat, a backup camera, and convenient 120v AC power outlet. An 8-speaker audio system with Bluetooth and SiriusXM are also part of the PRO-X package. The Crew Cab SL trim rolls on 20-inch rims and adds power folding heated outside mirrors, a standard tow hitch, leather seats and 10-speaker audio. If you need a truck that fires on all cylinders, you need a 2015 Nissan Titan. 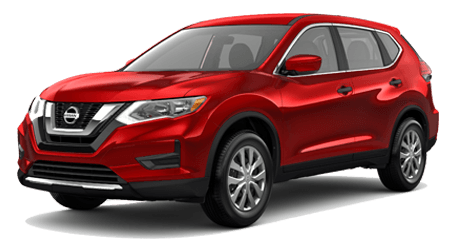 Come and see how affordable a beefy hauler can be at Tenneson Nissan, serving Phillipsburg, Albany, and Valdosta, GA. Once you get behind the wheel of this beautiful, durable beast, you'll be ready to take off for greener pastures!